Burglary Denver | Denver, CO | Mastro, Barnes & Stazzone P.C. If you or someone you care about is facing charges related to trespassing or burglary in Denver, CO, the attorneys at Mastro, Barnes & Stazzone P.C. are here for you. We’ve worked with clients throughout the State of Colorado and helped them navigate the complex legal system. 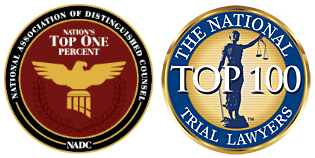 Our attorneys will listen to your circumstances and prepare a defense appropriate for your unique situation. We tailor each legal strategy to the individual client because we know that no two cases are exactly alike. Both burglary and trespassing charges are serious criminal offenses that require experienced representation. In certain factual settings, burglary charges are crimes of violence that trigger a mandatory prison sentence. Our attorneys can help you evaluate the severity of your charges and decide on a course of legal action that makes sense for your particular situation. The circumstances involved in both burglary and trespassing are very specific. Burglary and trespassing are both classified as property crimes, and while they share characteristics, they are not identical. Your legal strategy will likely need to differ depending on which offense you have been charged with and the assigned degree. A burglary charge is defined as knowingly entering or remaining upon the property of another without legal excuse or justification with the intent to commit some crime. In the State of Colorado, burglaries are classified into one of three categories, all of which carry a felony distinction. Burglary is a serious offense that has potentially life-altering consequences. Trespassing charges involve knowingly entering or remaining upon the property of another without permission. As with burglary, trespassing charges fall into three categories ranging from a petty offense to a felony, depending on the situation. Trespassing charges can also have serious, long-range impacts on a person’s life. Our criminal defense attorneys have defended numerous burglary and trespassing cases. We can assist you or your loved one in handling these charges to your satisfaction. We always ensure you are clear about the legal situation you are facing and keep you informed every step of the way regarding your burglary or trespassing case. We’re here to assist you in understanding the nature of the charges and will work toward the best possible resolution. Many factors come into play in terms of creating a legal defense for burglary and/or trespassing charges. We will explore the various circumstances and prepare a proper strategy for you based on these details. Whether you need assistance with charges for trespassing or burglary in Denver, CO, contact Mastro, Barnes & Stazzone P.C. to move forward with the legal process. Call today to get started.